Cinco de Mayo is right around the corner! 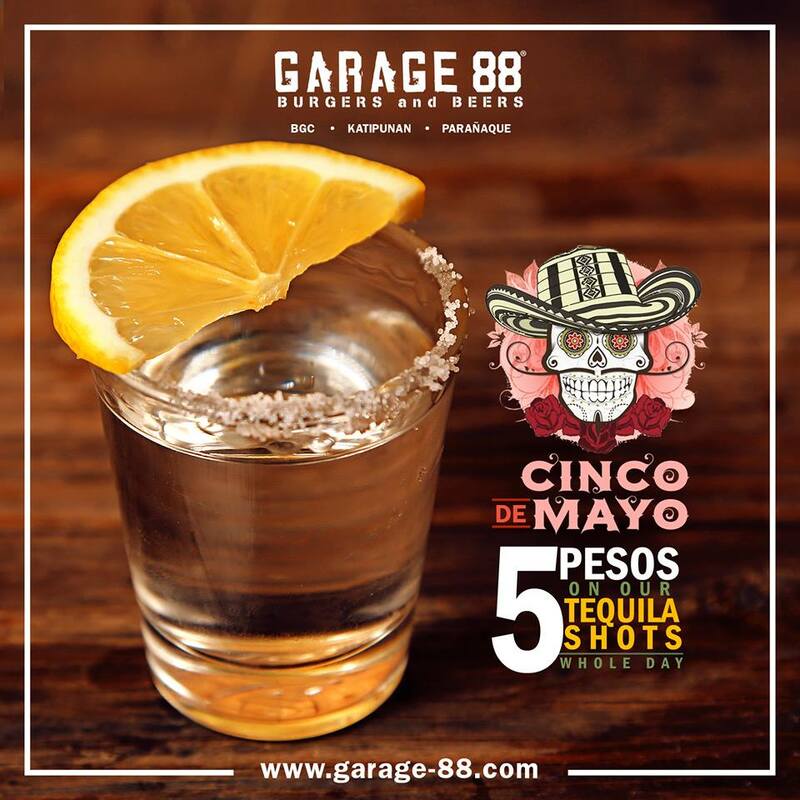 Celebrate it with a bang by heading to Garage 88 and take advantage of its 5php tequila shots! Garage 88 opens at 10am and tequila shots are available until supplies last! Salud!